Violet Kush is related to the Purple Kush family hailing from California. 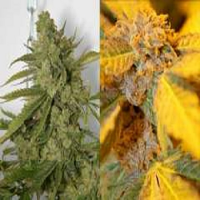 Violet Kush Feminized Cannabis Seeds by Garden of Green Seeds: Violet Kush is related to the Purple Kush family hailing from California. She is primarily a cross of Purple Afghani and Hindu Kush with a hint of another secret Indica variety. 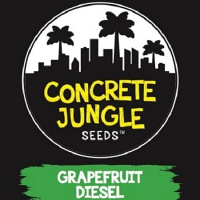 Violet Kush is an Indica dominant hybrid, but she combines the sharp cerebral effect of Sativas with an extremely heavy body stone typical of Indicas. Her skunky smell and herbal flavour provide users with a relaxed, medicated experience that is not to be missed, surely one for the Kush lovers!